Mesalands Community College will be hosting a Movie Night on Thursday, February 28, 2019 at 7:00 pm at the Odeon Theater. 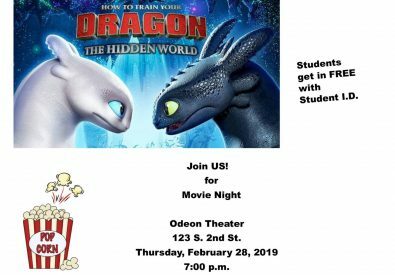 The movie showing will be “How to Train Your Dragon: The Hidden World.” Free admission for Mesalands students, staff, and faculty with a College ID. For more information, contact (575) 461-4413, ext. 189.